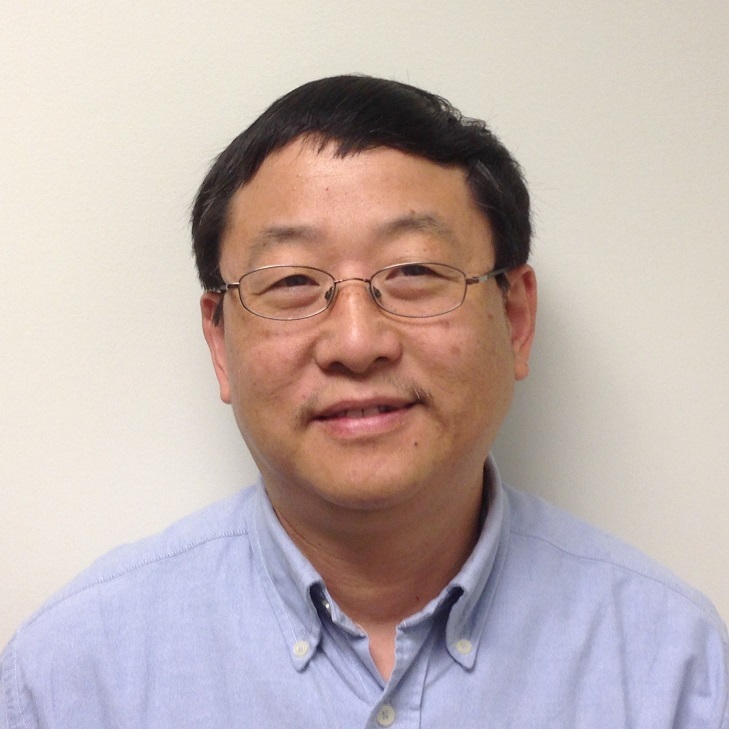 Congratulations to Hua Wu for receiving the President's Award as Railinc’s employee of the year for 2014. Hua was recognized at our February all-employee meeting. Hua has had a solid career at Railinc, joining the company in 2006 as the Java technical lead. This year he earned the top rating for his position among senior software engineers. Over the years he has made significant contributions to the Embargoes, Forward & Store and Clear Path systems. According to his nomination, the team faced challenges with the Forward & Store application, which was causing schedule risks for the mainframe migration projects and the Forward & Store upgrade project. Hua stepped in, led the team and resolved the issue. Due to his involvement, the Forward & Store upgrade project was able to start and end on time, which eventually led to a “perfect five” project survey score from Railinc customers. The Railinc President’s Award is part of our Rewards and Recognition Program, which recognizes and supports the good work that happens at Railinc during the year on an individual, departmental and company-wide basis. 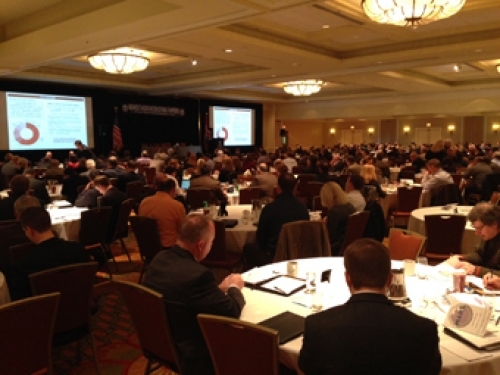 More than 600 people gathered on January 14 and 15 for the Midwest Association of Rail Shippers (MARS) annual meeting. The weather was typical of winters in Chicago, but the meeting produced a warm glow. For most everyone involved in freight rail, it seems like these are good times. The meeting was upbeat and enthusiastic. Barbara Wilson, president of First Union Rail set the tone. “Demand is strong across the board for rail cars,” she told the group during her address, titled "Life is Good." Shipments are increasing, including in intermodal which she sees as a particularly “exciting” area. And she said congestion problems caused by the unusually snowy winter last year are being resolved through the tireless efforts by tens of thousands of North American railroaders. Railroading is hard work, but it is paying off. We were at the meeting, too, enjoying our role as a critical connector for railroads and supporting the industry’s need for data to improve operations and help keep freight moving. Meetings like MARS give Railinc a chance to spend time face-to-face with customers and to hear from key leaders what’s going on in the industry. It makes us smarter and keeps us focused. That’s important especially because Railinc applications and services are embedded in critical operations and financial systems throughout the industry. They support railroads, rail equipment owners and rail industry suppliers at many steps in the supply chain. We deliver millions of data messages over our EDI network each day, including data related to transportation waybills, advance train consists, blocking requests and responses and trip plans that help keep trains moving. And we work closely with the people on important industry committees sponsored by the Association of American Railroads. These committees identify common business problems that can be addressed through centralized data and technology resources. For example, products like Railinc’s track and trace services help customers locate cars and their shipments in the rail network. Other products help communicate train traffic conditions to prevent or reduce train congestion in critical areas like the Chicago Gateway. We also maintain Industry References Files, the only industry-accepted version of the North American railroad industry's official code tables. These are the data files that everyone uses to ensure a smooth exchange of information among business partners. So that’s why we attend important events like these. In the coming years, Railinc will continue to create value behind the scenes with more essential products and services. And, of course, our people will continue to participate in key freight rail conferences and meetings and committee gatherings—even taking more trips to places like MARS. Showing 71 - 75 of 76 results.